Former Central Intelligence Agency (CIA) operations officer, Valerie Plame Wilson will speak at the kick-off of the City of West Hollywood’s 5th Annual West Hollywood Women’s Leadership Conference: Unlimited Opportunities – Knowledge. Power. Community on Friday, April 8, 2011 from 7 p.m. to 10 p.m. in the Silver Screen Theatre at the Pacific Design Center, 8687 Melrose Avenue in West Hollywood. The event will begin with the screening of the film Fair Game, starring Naomi Watts, a thriller based on Valerie Plame Wilson’s memoir Fair Game: My Life as a Spy, My Betrayal by the White House. Following the film screening, NPR reporter Mandalit Del Barco will moderate a conversation with Valerie Plame Wilson regarding nuclear security. 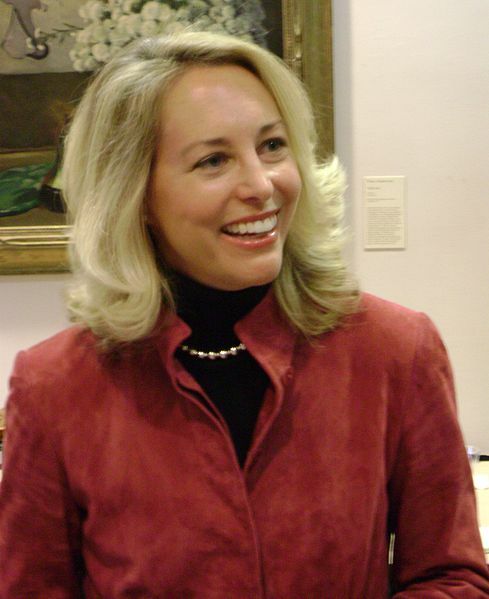 Valerie Plame is a former covert CIA Operations Officer, who worked to protect America’s national security and prevent the proliferation of weapons of mass destruction. She is a graduate of the Pennsylvania State University and has masters degrees from the London School of Economics and the College of Europe in Bruges, Belgium. Plame works as a consultant to the Santa Fe Institute, a nonprofit research institute that promotes multidisciplinary collaborations in the physical, biological, computational, and social sciences. She speaks several languages and now makes her home in Santa Fe, New Mexico. Mandalit del Barco is a general assignment correspondent based at NPR West. Mandalit del Barco has reported, produced radio stories and photographed a variety of stories from street gangs, natural disasters, and Latino arts and urban street culture (including hip hop dance, music, and art). Every year, she covers the Oscars and the Grammy awards for NPR. Her news reports, feature stories and photos filed from Los Angeles and abroad can be heard on All Things Considered, Morning Edition, Weekend Edition, alt.latino and npr.org. I’ll try to put this to good use imemdtiealy.